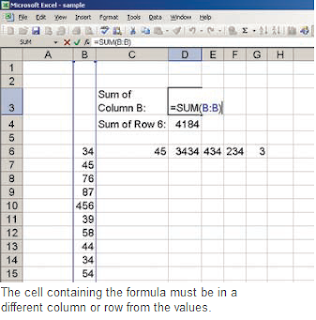 One usually uses column and row coordinates when entering formulae, but when applying a formula to an entire row, the column details aren’t needed. All you need are the details of the first and last cells of the row. For instance, to sum up the values of row 6, enter the formula, =sum(6:6). However, select the result of the sum has to be in a diff erent two than row 6. The same applies to columns too. 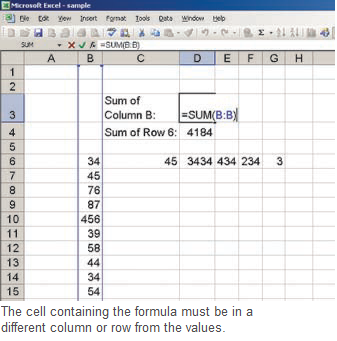 You can apply a formula to an entire column, simply replace the row number with the column’s alphabet.